While we stand firm that Cadillac could benefit from ditching its alphanumeric names for cars and crossovers, Cadillac President Steve Carlisle will keep the naming scheme. 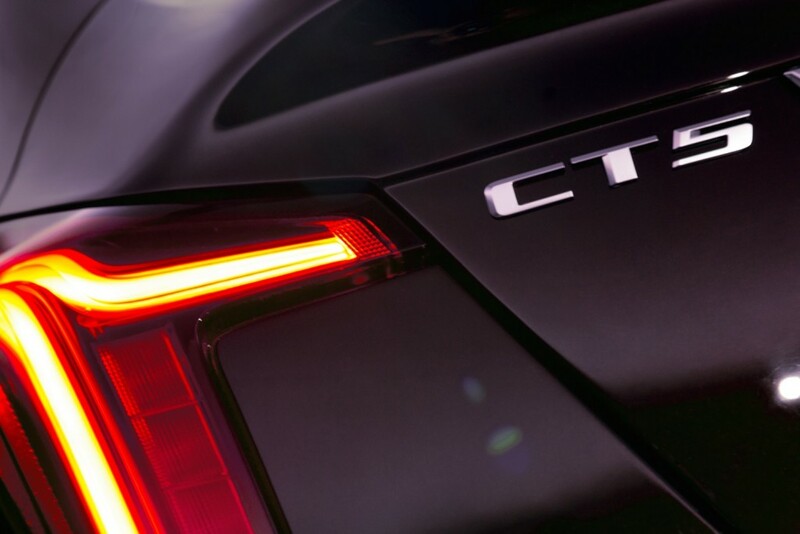 However, in the future, the brand’s new electric cars likely won’t follow the “CT” or “XT” nomenclature. Speaking to Motor Trend in a Monday report, Carlisle said Cadillac will need a naming strategy for future electric cars. “That’s a whole new white space,” he added. Cadillac was named General Motors’ banner brand to introduce electric cars and new technology first last year. Most of GM’s upcoming electric cars will be Cadillacs; the automaker has 20 new electric cars coming by 2023 for global markets. Most of them will likely head to China and it’s still not confirmed how many North America will see. Some will be new vehicles altogether, like the upcoming electric SUV, while others will be electric versions of existing models, according to the report. Thus, it’s likely we’ll see a new naming strategy for cars based on CT or XT models, and perhaps something related for new vehicles not based on existing vehicles. Perhaps we’ll see a surname for a model like, for example, the XT5 to denote a battery-electric powertrain. It gives us hope the brand’s future electric cars will perhaps toss out alphanumerics. Aside from electric cars and the potential for a new nomenclature, Carlisle also said there’s no chance of dropping the Escalade name from the portfolio. In fact, he said models Cadillac sells that cost over $100,000 should not adhere to the CT or XT naming scheme. While Carlisle said its customers appreciate the numbers to denote more standard models, “special cars should have special names,” he said. The executive is also very open to affixing future cars with historic names. He openly questioned where he would use the “El Dorado” nameplate, but said in these kinds of decisions, the name has to fit the particular car. Subscribe to GM Authority for more Cadillac news and around-the-clock GM news coverage. Suppose those in the mysterious “focus group” likes ET… ? I see the EV models being sold as Cadillac’s but with in their own segment of Cadillac. This will make it easier to deal with the changes to come much easier for ICE an EV models. The needs and markets is very different and both can be handled much more effectively. If Hummer had been a internal branch of GMC they may have been able to save it or make the changes much easier than it was as a division that had to be killed. Much more flexibility with an internal line. We already see this with performance models too. As for old names it just stirs a lot of debate where some approve and others claim it is not what the old name represents. They are damned if they do and damned if they don’t. I think it is key to use new original names if they choose actual names. The naming will be dictated totally by China, the #1 market for Cadillac branded vehicles. and that may not happen anytime soon, they hate America and always will. Never owned a BMW ,Lexus, Audi or Benz. I wouldn’t mind a CTS-V? But would never buy one of those or any other Cadillac new, much better to grab a barely used one at an enormous discount. (MB is the same too, never buy or lease a new one). The simply reality that many don’t want to come to grips with is…….GM is trying to sell lots of Cadillac’s in China and has shifted the design and development focus of nearly all Cadillac’s to appease that market. Proof you say? See the XT6. “Good enough” plays in China. The one exception of course is the Escalade, it makes most of the money here and likely will continue to do so. Most people buy what they perceive as the best vehicle they an get for their money. The reason Cadillac isn’t breaking sales records or conquesting MB/BMW/Audi in huge numbers is they’re just not as good. I wish they were better and I’ve owned a ATS 3.6, nice car in 2013 but by 2015 the competition had all been replaced or refreshed. GM doesnt give Cadillac absolutely world class interiors but actually ehh.. interiors. They show us the Escala, Ciel, El Miraj, etc… then give us badge engineered cars that have “similar” headlights. GM is run by idiots who will not really spend money to grow the brand or reestablish it, but bettering the competition. Someone said Caddy needs to be the American BMW… well why not buy the origial especially when the copier aint working very well. Caddy needs to be Caddy, real American luxury which means a V8 in every car they make, fabulous styling and world beater interiors and technology. The new XT6 interior stinks compared to a 3 year old Volvo… Cadillacs competition isn’t sitting still and GM’s 75-80% content effort will not be successful. It is going to have “i” or “e” letter at the front of the number. The logo is going to have blue color around it to show that this is electric. Totally original and not like BMW. Yeah why call it something that make sense like Cadillac ET# when you could give it a name that “resonates” with modern consumers like the “El Beige” for boomers or the “Yeet Floss Battle Royale” for zoomers? Yes, and remember they called the old Eldorado Touring Coupe… etc…. I mean seriously? I think thats when the stupidity of using alpha numerics began at Cadillac…. ETC…. This could be a critical error as an electric XT5 should be referred to as the XT5e as it would tell buyers it is still the XT5 they have known with the vehicle moving to electric as giving the XT5 an entirely new name makes no sense. Customer walks in. Greeted by sales person who says welcome to Cadillac. How may I assist you today? Customer: Hi. I was interested in looking at the XTS. Sales: Oh, you are looking for the soon to be discontinued large sedan? Customer: No, the SUV. The new one. Sales: Oh, I’m sorry. You are here to look at the XT4? Customer: That doesn’t sound like the one. I thought it said XTS. Sales: No sir. The XTS is the large sedan. It sells well, but Cadillac has decided that car no longer matters. I think you must be talking about the XT5. Sales: It’s a crossover SUV. Maybe you remember it being called the SRX? Customer: So not a XTS or SRX? You are telling me it’s the XT5? Ok. That would be for my wife. I may be interested in the CTS for myself. Sales: Oh, that would be the CT5 sir. Customer: No. I looked online and see there’s the ATS and CTS. I’m interested in the CTS. Sales: Oh, I’m sorry. Cadillac decided that those two cars looked too much like a Cadillac. They made the decision to drop the ATS and CTS. Instead, they have this new CT5. You will like it. Looks just like a bunch of import brand cars mashed together. Customer: Thanks for your time. I’m heading to Lincoln to buy a Nautilus and Continental. Have a nice day. Sales person scratches head and walks back to the sales manager who asked what happened with the customer. Sales person says: I’m not sure boss. These people just have no clue what they want when they come in! Thanks for the fun read! I’m sure that is probably a very accurate truth of events. Lol. Sometimes I just have too much time on my hands. Today is one of those times! Slow at work. And I see my thumbs down trolls are out again. Gee wiz, stop being so serious and have a little fun! Either that, or my trolls are sitting in the “name room” at GM and just don’t like the truth about the stupid alphabet soup junk for names on Caddy. If the customers cannot distinguish and read letters or numbers, and can’t understand an ordered hierarchy of ascending car sizes relative to ascending numbers, then they’re probably too dumb for most mainstream luxury automakers, and should probably default to Lincoln. Your theater script is more accurate than you may be aware of. Sorry, but that’s a very short-sighted and stupid comment IMO. Kind of offensive in fact towards paying customers who are not on sites such as this or know more about the cars like we may. Maybe you like all the letters/numbers and maybe you feel it makes sense, but obviously it doesn’t to most as the sales show. On top of that, there is no real “ordered hierarchy” or “ascending” anything. The morons at the helm of Cadillac just keep tossing more alphabet soup at the vehicles hoping something catches on. It’s not. It won’t. The naming stinks at best. I wouldn’t confuse the GMA news blog with a blog on high-luxury living, and I doubt readers here are confused as well. If you think it’s offensive, please stay on Twitter. Sales figures aren’t what matter. ATP does. Cadillac can sell fewer cars than Lincoln, and you may like to capitalize on those sales figures because they are the most accessible to the public. But the more accurate measure of a brand’s strength is not in the unit sales, but in how much money per unit the brand can command. As it stands presently, Cadillac can command more money for comparable models from Lincoln, and the more money Cadillac can pull in means that GM can push Cadillac further upmarket, as the market will have accustomed itself to knowing that Cadillac means spending more for something that isn’t common (as you would if Cadillac were volume-driven). As for the hierarchy, it’s simple, and I refuse to believe you, personally, can’t be bothered understand it. The larger the number, the larger the car. The old names like Eldorado and Deville aren’t compatible, and even if they were used today, they don’t tell anyone which car is larger, smaller, more expensive, or even which is exclusive. Lastly, nobody buying luxury cars is going to listen to a dealer on the showroom floor for advice about what to buy, much less even entertain them. Dealers have show the world time and time again that they know nothing about the cars they sell, and that they only exist to act like a needless middleman who demands a fee for providing no service. If you were in the market for a luxury vehicle, a dealer is the last person to speak to, much less shake hands with. Your theater script reflects an outdated understanding of how people research and buy luxury cars today. Tell yourself whatever makes you feel better. I personally work at a dealer and take great pride in assisting clients when they come in and don’t really know where to start. Sounds to me like you either drive a MB or BMW or you need to. What exactly makes an XT a crossover? What exactly makes a CT a car? Do you work in the GM name department? Who ever proclaimed that the higher number is better (or bigger as you state)? Since when did we go from being number 1 as meaning the best? And no, Escalade is not the real “legacy”. That would be a name like El Dorado or Fleetwood. Escalade just took that place because GM/Cadillac gave up on names. Thus Escalade is there by default. ATP vs. sales: You can have both. When you produce a quality product that does what it’s supposed to do, they will sell and for a premium. Please share your wisdom in how a product few people know about (or understand) will bring the higher ATP? And are you claiming that a product that sells in very low numbers but with a high ATP is better than a product that sells well in numbers but also has a medium to high ATP? I wouldn’t want you on my board of directors. Sorry, but I don’t buy anything you stated above and find the “looking down you nose” verbiage to be of little value. You never made it out of grade school without difficulty, did you? The numbers are a fact of very way the base 10 system of counting and mathematics even works at all. It is, effectively, fundamental to how our civilization, science, medicine, engineering, commerce, philosophy, and public life work. If 1 + 1 = 2, then it follows that 2 is a value of two 1’s. The concept carried onward into infinity, and so on. Kids in kindergarten don’t even struggle with this concept, yet you’re thinking of Cadillac’s nomenclature hierarchy as if it were lambda calculus. It isn’t, and all your efforts to deliberately make the CT and XT nomenclature look difficult is of your own doing. The fact that you work in a dealership speaks volumes of your disconnection from not only how to count, but from the reality of how luxury consumers desire to exercise conspicuous consumption. Conspicuous consumption is something that no dealer, not even yourself, knows what it is, and I know you don’t know what it is because if someone has to get your advice from a receptionist, then they really don’t have the means to be a luxury consumer in the first place. That’s a job for marketing, not a dealer. Marketing is always done top-down, and there should be no push-back from a dealer pretending to know the luxury market better by trying to push back. Know your place, and do what corporate tells you to. They make the luxury product, and advertise to the luxury world. They know what’s best. All you do is pay NADA fees and pretend to be pillars of the local community that sponsors little league games. You won’t find local dealers sponsoring wine or art auctions, and that alone should tell you why dealers will never understand the luxury consumer. No, the following is what I’m claiming. I am claiming that a product that sells in low numbers but with a high ATP is ALWAYS better than a product that sells in high numbers but for lower ATP. I say this while pointing to the overwhelming examples throughout the entirety of the luxury market (not just cars, but EVERY PART of the luxury market), that by deliberately restricting supply to keep demand high means that every single unit produced will be sold. The fewer the units, the better their value will hold in the market, the better the consumer knows that they have a rare and exclusive product. It’s the very definition of what a luxury product is; something that is difficult to obtain that is conducive to an ease of living not freely available to others. A benefit of this is that it also means that production costs can be better determined and managed, which also means that a luxury goods manufacturer can spend only as much as needed for manufacturing and labour as the market will need. Blindly producing thousands for mid-range price crippled Cadillac from the 50’s on through to the early 2000’s, and it’s not something that needs to be repeated again. If you still think that high-volume and mid to low ATP is best for Cadillac, then you shouldn’t be looking at Cadillac, but Chrysler. Chrysler is a brand that cannot command Cadillac money, and never will. Chrysler cannot even command Dodge money, and if that doesn’t ring alarm bells in your head, then you don’t understand why Chrysler isn’t seen as a luxury automaker. I don’t expect you to understand the Chrysler example too much. As someone who boasts of being associated with a dealership, you’ll only ever concentrate on Chrysler sales figures and not how little money each Chrysler sold actually contributes to new product at FCA. I don’t have to tell you how old and tragically outdated the 300 is, and why it’s no threat to ANY large-size luxury offering in the market, even the CT6. By the way, the 6 in CT6 denotes a large car. Bigger than a CT5, but smaller than a CT7. I wouldn’t want you to be confused and mistake it for a banjo or a buffalo or something. Did you feel the same when Cadillac used the Series names from 1902 to 1950? The nomenclature works, just as the Series nomenclature did too. If anything, both the CT/XT and the Series hierarchies were of Cadillac’s own design. They’re ordered, logical, unified, and describe the entire range of Cadillac, from the smallest to the largest. As for Lincoln, if they keep selling to the airport taxi fleets and continue to low-ball their way into disrepute like Chrysler, they’ll never be taken seriously by the luxury world, no matter what name they choose to call their cars. I could not agree more!!! GM should not have to hand feed people to buy their cars, as the customer take the time to learn something about the car you want to buy. But that would be the wrong brand. Electra would make a perfect name for an electric Buick! Just in case you are thinking of it. E-Dorado is not acceptable any way shape or form. How about going back to Names? Names people can remember, not these letters and numbers which are confusing to the public. For so many years (most of which Cadillac dominated the luxury market), they had the same names for the cars. El Dorado, Seville, DeVille (sedan and coupe), Fleetwood and more recently Escalade. For years Cadillac was the leader. Yes, other lux brand (Lexus, Acura, Infiniti) came to the market to join MB, BMW and Jaguar as competitors to Lincoln and Cadillac. Yes, Caddy had some tough times and maybe some consumers didn’t want to drive the car their parents drove. But that stands true for all makes: From Toyota and Chevrolet all the way up to MB and Cadillac. So the line that Caddy had to change from traditional names to the alphabet soup in order to be competitive is just false. So let’s look at some of these name changes over the past 15+ years. Those are just the ones I can recall without doing more research. I’m sure I missed one or two! Any thoughts why Cadillac sales stink? …to imply that Cadillac was had equal or greater success when it used it’s legacy names is also a misleading. If the product was terrible, it wouldn’t matter what it was called. Lastly, if you bothered to look at Cadillac’s history prior to 1950, you’d know that for 48 years Cadillac had it’s own nomenclature hierarchy; the Series range. The named Cadillac’s represent products from the time starting in 1950 in which Cadillac lowered it’s standards and quality, and accepted a lower price to appeal to the mass market. MB capitalized on this when it entered the US, and took the upper-end market Cadillac threw away for itself. The rest is history. But there is one thing you understand, albeit 95% of the way there. It’s not some, it’s all. ALL luxury consumers don’t want to drive a car their parents drove. If you had told that to Cadillac’s heads back in 1950, Cadillac wouldn’t have spent the next 52 years selling idealized memories of a past that nobody could remember instead of showing the world what the future would hold. Even today, nobody wants the luxury car their parent drove if that luxury brand has been stagnate for decades. Luxury brands move with the times and forecast the future. They don’t dig their heels in and celebrate the past. Grawdaddy, I’m guessing you have a very small circle of friends. I can’t imagine many wanting to be constantly overshadowed by someone as articulate and smart as you. Best not to judge others whom you have no idea about, let alone where they work, etc. Bottom line? You just keep believing what you want. I’ll continue to believe what I want. Thanks. I wish you were as smart as you think you are but your not!!! How do the naming schemes of BMW, Audi, and Mercedes Benz fit into your car name theory? They sell great while using alphanumeric names that don’t make much sense. If that question is for me, I’ll do my best to explain my position. If not for me, sorry for stepping on your post. For me, Cadillac should not now nor should they ever have been chasing BMW, MB, Audi or the likes. To me, that is where Cadillac took a dive and began to falter. Why are they chasing the German/European brands? Why is Cadillac not sticking to real American luxury? I could go on, but I’m sure you understand my point there. This is where we must differ. I find any of the “names” by BMW, MB, Audi, Jaguar, etc to be stupid and quite bland. I find they offer nothing of interest to me. Having been with Cadillac for 12 years over a period of 1988 through 2015 (not consecutively), I also found clients coming in to find the alphabet soup names confusing and meaning nothing. I feel that Cadillac abandoned their loyal customers while also not properly reaching out to the German/European brand customers. In another post of mine above, I’ve listed the massive amount of “names” they have used just since 1993 and it hasn’t worked nor do I feel it will work. Others on here claim that higher numbers automatically give way to bigger and better. That XT stands for SUV/crossovers. That CT stands for cars. Yet there is nothing pointing to that as fact or making the case as such. Maybe that is how the German/European brands have labeled their cars for long time. If it works for them, great. I just don’t feel it’s been working for Cadillac and I don’t see that changing. Others on here will bring up brands needing to be more exclusive (out of reach to more common people?) as well as higher ATP’s. I don’t agree at all with the “exclusive” part as I feel anyone should be able to reach for and hopefully attain Cadillac ownership if that’s what they want. As for the ATP’s? I know you can have a great product that people desire (and know) that reaches to more people and still have a higher ATP. I just don’t see Cadillac surviving or doing well on the current path. I hope I’m wrong, but they just aren’t doing the right things. On the flip, I see Lincoln doing really great things. They are bringing out super products that people seem to be wanting and buying. They are reaching back in time to move forward. They have and are bringing back real names. Kudos to Ford/Lincoln for doing this. Although I’ve been with Cadillac for many years, owned numerous new and used Cadillac’s as well as a passion for them, I will most likely become a Lincoln owner in the near future. Time will tell, but I’m willing to bet there are many others out there with money to spend just like me. Because there is no such thing as American luxury, just as there is no such thing as German, Japanese, Korean, or English luxury. There is just luxury. Capital L luxury. Luxury is not bound or dictated by nations or by people. It is an expression exclusivity of the best one can get. No nation has a monopoly on what luxury. There are only examples of what luxury is from respective nations; some are good and some aren’t, but collectively, they exist as examples of what a discrimination buyer has to choose from. If you keep thinking in terms of America vs. the world, you’re not going to understand why Cadillac falters. Brands like MB, Audi, Lexus, and Tesla offer the public glimpses of the future; a promise of plan that will take the luxury consumer into the future. This is less a business plan, and more of a cultivated marketing strategy played long-term, and the strategy itself has great appeal because it perpetually shows the public what’s to come and how they can be a part of it. The public’s’ dreams and ambitions always outstrip the capacity of whatever promise can be made of short-term plans. The luxury buying public, even more so. Since a person’s mind is changing and evolving with their needs, they’ll want to know that what they can imagine of their future is optimistic and promising. Anything that can lift someone out of their present standing and elevate them to something better than stagnation. For brands like MB, Audi, Lexus, and Tesla, they simply have to promise the future to come, and that’s a big enough hook for the overwhelming majority of luxury consumer. For luxury brands to retreat and withdraw from this promise is to admit that they cannot offer any glimpse of the future, and will perpetually be outclassed by next generation products offered by others. For Cadillac, any retreat is a publicly admission of a disconnected, tragic, old obstacle of a brand that offers no real ambition or optimism. And worst of all, you seem to be cheering Cadillac and Lincoln onward into their graves by retreating into the past. The real reason why no luxury consumer is interested in reliving the past with new Cadillac’s using old names is that the old names never represented the ideals of a promising future when they were new, and still don’t to this day. The second Cadillac abandoned the dream of showing the world what they could do in favour of selling distant memories and volume sales, it said to everyone that Cadillac could only ever offer memories of the past; a past that fewer and fewer people can relate to this day. Old names will not help Cadillac if the product is crap and if the current Cadillac consumer isn’t willing to want a better future of themselves. Yes, I’m saying Cadillac needs to stay far away from the ‘traditional’ crowd, as these people lack the ambition and means to keep Cadillac from ever offering a dream in the first place for others to aspire to. Thanks for your opinion. That’s all it is. But can you do me a favor and stop trolling me? I’m really not interested in your diatribe. I’m here to point out where you’re not only wrong, but dead wrong. That you keep thinking of Cadillac as a blue-collar reward and not as a status symbol. That you keep thinking in terms of ‘America vs. the world’, and you seem to think that all Cadillac’s challenges would go away if they just used the old and publicly rejected names and continually celebrated the past. Call it diatribe all you like, but you, your dealers, and those brought up on the idea of Cadillac being affordable and commonplace have the most to lose when the luxury consumer chooses. While you were there, you should have checked what a luxury is, and you would have found out that it has nothing to do with national identity. – the state of great comfort and extravagant living. – an inessential, desirable item which is expensive or difficult to obtain. That’s it! See? Nothing to do with America or those darn Germans, so therefore you whole understanding of what luxury is has always been wrong. If you think it’s trolling to point out that you are wrong about something, it means you can handle criticism, and that speaks to a bigger character flaw of yourself. CT for sedans & coupes. Dear God, the Cadillac boss sounds like an imbecile. Just call it a naming strategy and move on. You’re going to come up with something lame, anyways.